Pedal to Bangkok’s bustling markets, quiet gardens and local neighborhoods on a 5-hour, private bike tour with an experienced guide. Start your day with a boat ride on the Chao Phraya River, then explore the manicured paths of Sri Nakhon Khuan Park. 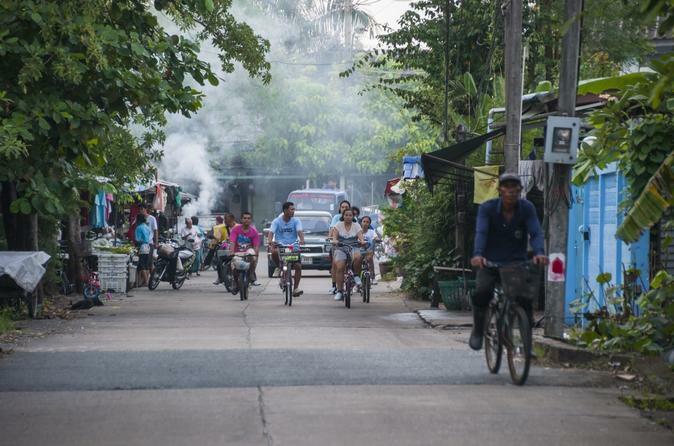 Trace quiet routes to a nearby market to get a glimpse of life in Bangkok’s small communities. Continue to the sprawling Khlong Toey market, where locals bargain over vast displays of fresh seafood, bright produce and local delicacies, and practice your haggling for ripe fruit and unique handicrafts.